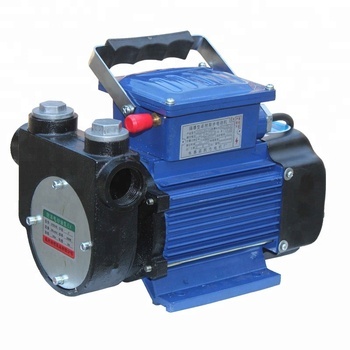 Electric Gasoline Transfer Pump suitable for diesel oil, kerosene and gasoline transfer, It is easy to connect to 1" quick coupling of the drum or tank, with or without flow meter. 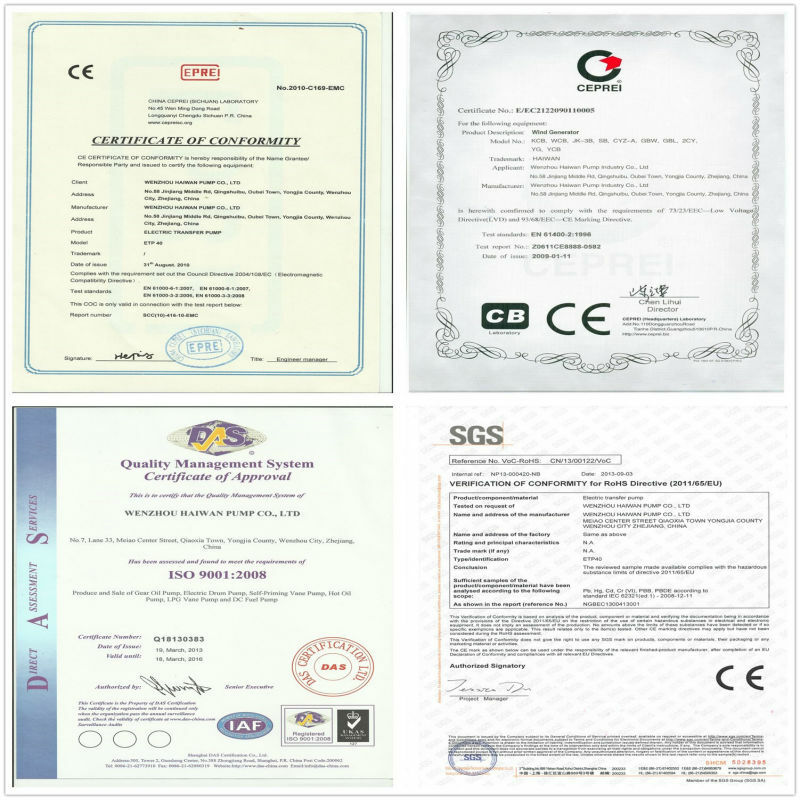 The ETP 40, ETP 60, ETP 80 is special for diesel oil, kerosene oil, not for gasoline, but DYB 50, DYB 75 suitable for diesel oil, gasoline, kerosene and some other light oil liquid transfer. 2. 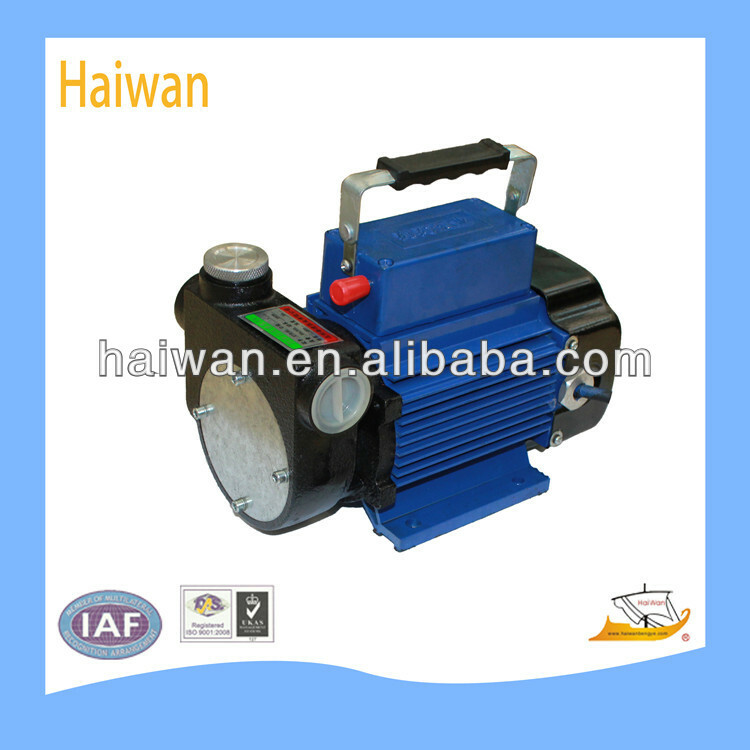 Self priming rotary vane pump, cast iron pump casing, small size. 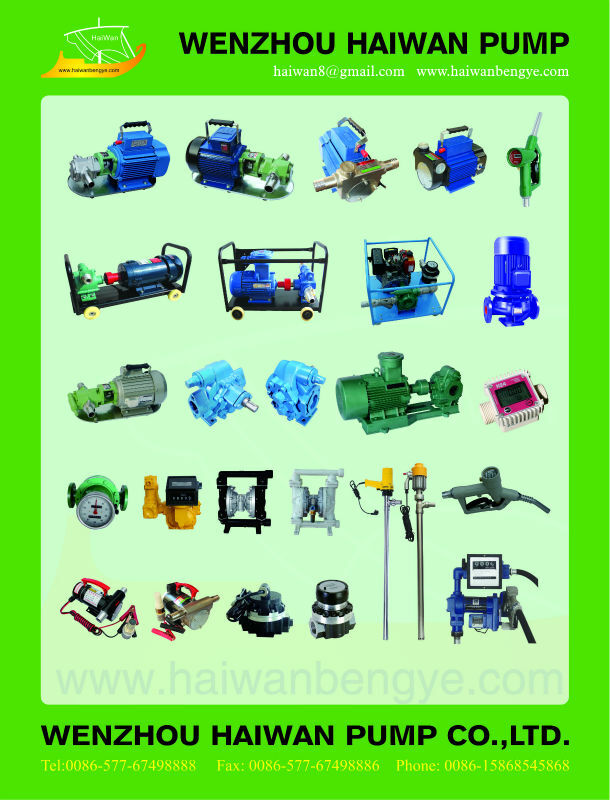 light weight, simple installation, easy to use. 3. Bypass valve buitl in. Duty cycle:60 min. 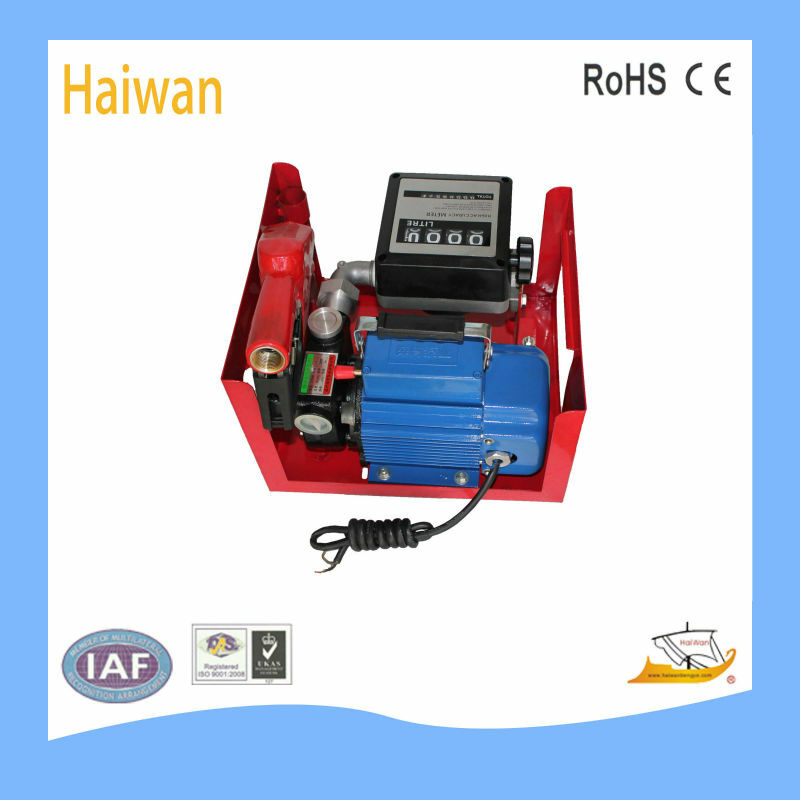 4.Applicable in transferring oil from barrels, fueling machines in construction sites, on boats and in farms, ect.